This past year has been rather generous to us filmmakers in the way of new and amazing cameras, innovative post-production tools, lenses and other accessories designed to make our lives as video content creators a bit easier. As we get ready to say goodbye to 2015, we have put together a collection of FREE LUTs and other tools for filmmakers as well as some awesome deals on lenses, camera and other gear. Whether you are a novice, who’s just picked up a Panasonic GH4 for Christmas or a filmmaker, who has been doing this for some time, you’re bound to find something useful in the list below. 10 FREE LUTs by Motion Array – download here. Most of you know what it is, but for those that don’t here it is. What is a LUT? – a LUT is an acronym, which stands for Look Up Table. It is essentially a set of mathematical code in a form of a file that tells your colour correction or editing application such as Adobe Premiere Pro or Final Cut X how to interpret colour changes you have done to a video file. For example, if you start with a video file you have recorder in your camera with a flat picture profile, and your LUT has a more warmer feel with orangey tones, once you apply the LUT in your NLE, it will automatically change the way your video looks depending on the LUT. You can then apply additional LUT on top or make manual changes to contrast, saturation, brightness and countless others depending on the editing/grading software you are using. The guys from Ground Control have 8 free LUTs to give away including camera specific LUTs to REC.709 conversion, which is usually the starting point in colour correction. Blackmagic BMDFilm to Rec.709 (BMPC 4K, Pocket Cinema Camera, and URSA Mini 4K) and more. 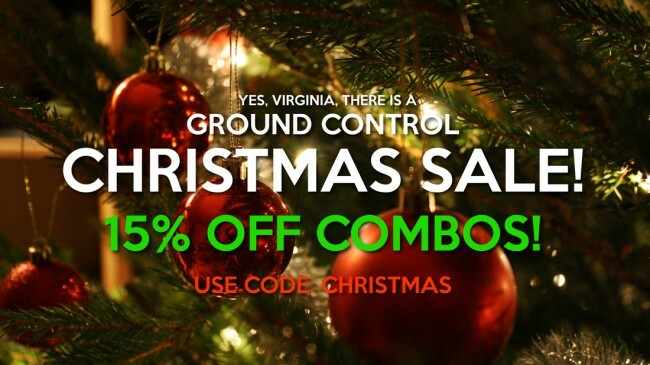 Download the FREE Ground Control LUT’s here. Get a complimentary $20 gift certificate for every $100 gift certificate purchased! Treat your loved ones to the gift of red and black and choice! 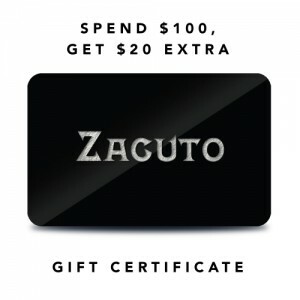 Zacuto gift certificates are the perfect gift for the filmmakers in your life. Getting a gift certificate in two easy steps. 1. Use the drop down to select a certificate amount. 2. Wait for your certificate email to arrive between 9-5 CST, Mon-Fri. The certificate will arrive as a PDF email attachment for you to print, email, and present as you like. Please note: Gift Certificates can not be used in conjunction with coupon codes or discount specials. 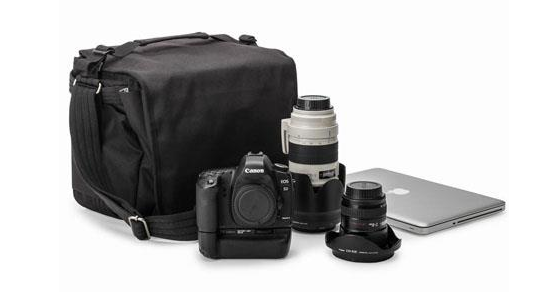 10% back in Adorama Rewards on selected Zeiss, Tamron, Rokinon & Sigma Lenses at Adorama. Expires 12/31! 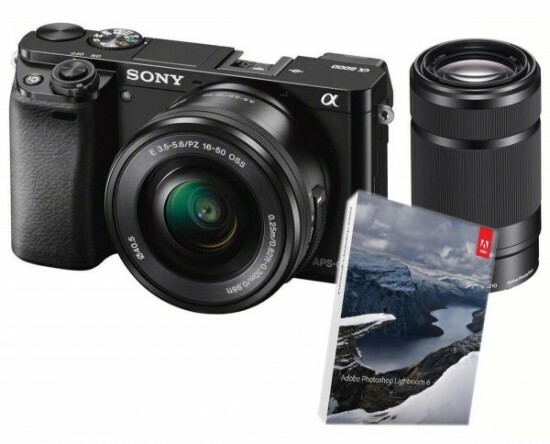 There are some huge savings on Sony Full-frame mirrorless cameras like the behemoth 4K beast – Sony A7RII. 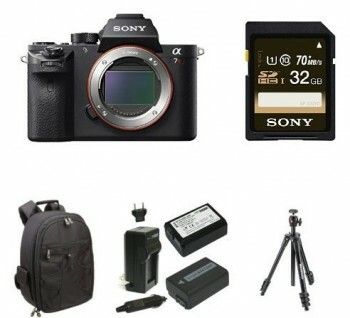 Right now, Amazon US are selling the Sony A7RII Deluxe Bundle for $3,198 and throwing in about $126 of Free Accessories – including 2 batteries and a charger, a tripod, camera bag and a 32GB card. 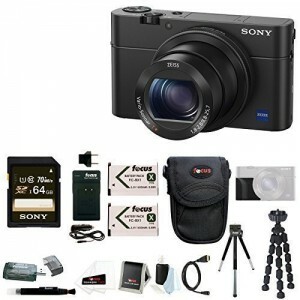 Sony Cyber-shot DSC-RX100 IV 4K Digital Camera with Sony Attachment Grip and 64GB SDXC Accessory Bundle – $948 ($20 off) with Free Shipping in the US. 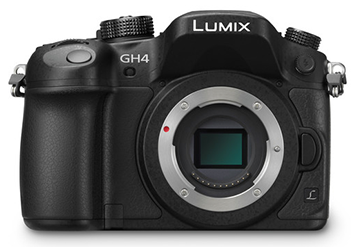 You can also save $200 on the “more budget friendly GH4” – Panasonic Lumix DMC-G7, now on sale for $598 with the 14-42mm kit lens in Silver and Black versions. The Panasonic LUMIX G7 4K + 14-140mm lens bundle is also on sale at $200 Off, for $898. 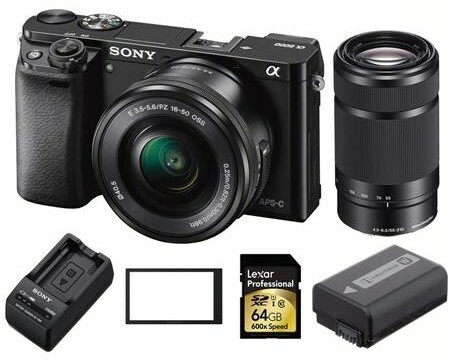 If you are into Sony mirrorless cameras like the Sony A6000, Sony A5100, Sony A7sII, A7rII – you can check out all Holidays Savings on Sony Mirrorless cameras here – including instant rebates of up to $350 on select bundles and rewards up to 5%.